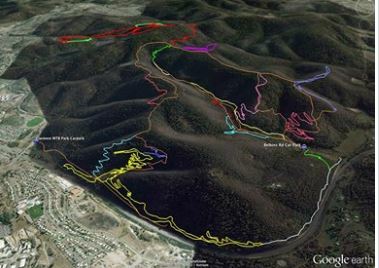 Clarence MTB Park and the Meehan Range is 8 km from the Hobart CBD, on the way to Hobart Airport. It's about a 10 minute drive from the CBD, on a bad day! Opened in 2009, the Clarence Mountain Bike Park offers a range of experiences for novice through to experienced mountain bikers. The park includes dirt jumps, mountain cross, dual slalom, downhill and leg burner cross country trails. 1. The park is accessed from a car park off Flagstaff Gully Link Rd in Mornington (near the exit to the Tasman Highway) and entry is free. Map at this link. 2. Belbins Road (Stringy Bark Gully) map at this link. 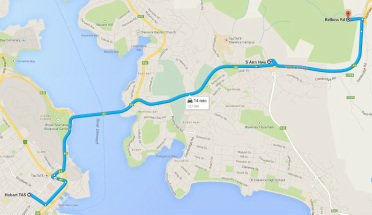 Belbins Rd entrance - Nil at trail head by Cambridge takeaway & pub 3 minutes away - map at this link. PLEASE Note - There is ongoing trail building activities occurring in this range in 2014. 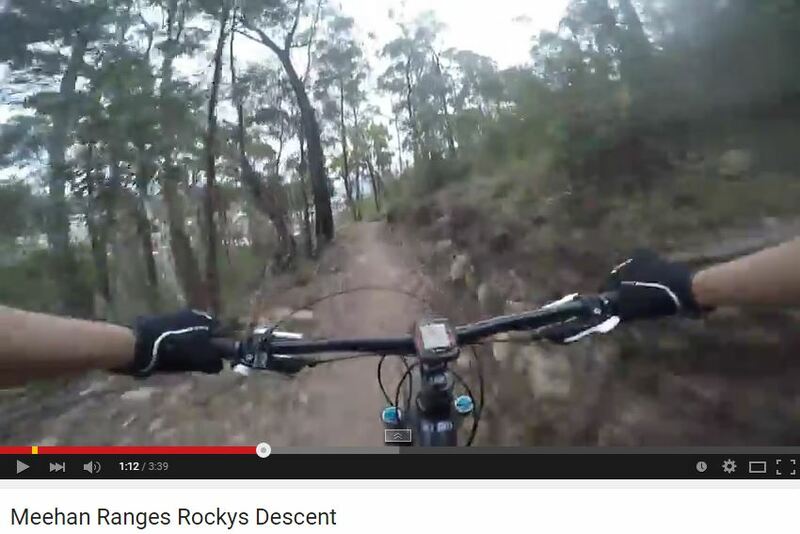 Troy from Over the Edge Sports, Fruita Colorado USA goes for a lap of Hobart's Meehan Range. Image by Dirt Art.